We are pleased to offer this 911 Carrera 4 Coupé in Mirage Metallic with Black leather interior. First registered in November 1997. Specification includes: alarm system, all wheel drive, Automatic Brake Differential (ABD), automatic climate control, electric sunroof, electric windows, partial leather seats, third brake light and windscreen with graduated top tint. 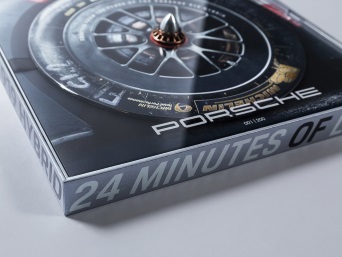 Please contact a member of our team on 01793 615888 or info@porscheswindon.co.uk for more information. We are pleased to offer this Cayman in Platinum Silver Metallic with Black partial leather seats. Specification includes: cruise control, heated seats, Infotainment package, ParkAssist, three-spoke multi-function steering wheel, top tinted windscreen, wheels painted in Basalt Black Metallic, Porsche Communication Management including navigation module and 19 inch Carrera S II wheels. We are pleased to offer this 911 Carrera GTS Coupe in Basalt Black Metallic with Black leather interior, seats leather/Alcantara(R). 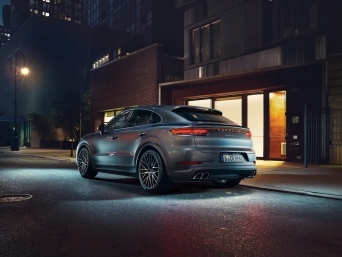 Specification includes: extended navigation module, Silver GTS sidestrips and model designation, Sport Chrono Package Plus, ParkAssist (parking aid rear), Porsche Doppelkupplung (PDK), rear seats, windscreen with grey top tint. We are pleased to offer this Boxster in White with Black Alcantara(R) and leatherette seats. 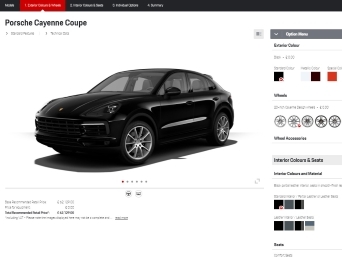 Specification includes: BOSE® Surround Sound System, ParkAssist (rear), Porsche Doppelkupplung (PDK), heated seats, SportDesign steering wheel and 18-inch Cayman wheels. Following the success Porsche Swindon achieved in 2018, we are delighted to announce that we will be returning to the race circuit in 2019. Porsche Centre Swindon’s 986 Boxster will be seen again for rounds at Donington Park, Brands Hatch and Silverstone. As one of only four Porsche Classic Partner Centres in the UK, Porsche Centre Swindon has a wealth of knowledge on maintaining and restoring classic Porsches. Our team of Porsche trained technicians have additional training from the factory in Stuttgart to ensure that they are proficient in all elements of service and repair whether it be a 356, 944 or a 911. As a Porsche Classic Partner, we also offer quality upgrades and 52,000 different parts that cover a multitude of models in the Porsche back catalogue. In the showroom, we have a designated Classic Corner for displaying the specially selected Classics we have for sale.